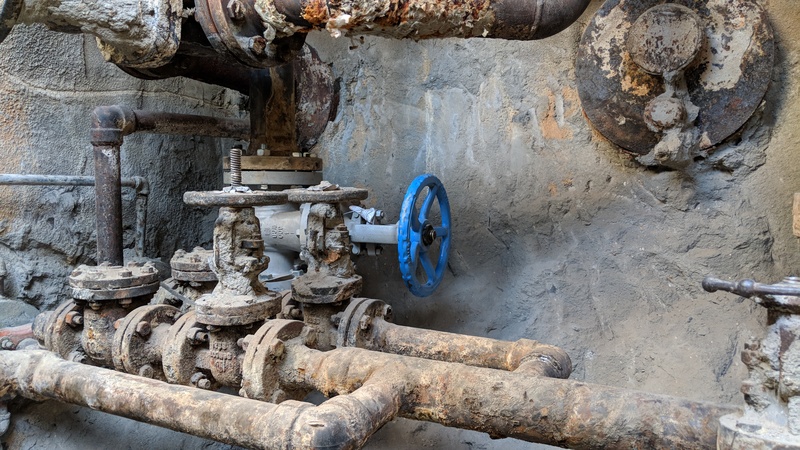 An underground steam pipe leading to Building 245 began leaking in December 2017 and needed immediate repairs to avoid a catastrophic rupture. The building was closed to normal operations for 12 days while repairs were made. State-of-the-art research requires state-of-the-art facilities. NIST must continually adapt to increased demands for measurement precision and capacity, while meeting standards of health, safety, access and sustainability. NIST relies on CRF funds to support new construction as well as the maintenance, repair, improvement and major renovation of NIST facilities across the country. Unfortunately, NIST’s ability to maintain and renovate its infrastructure has been falling further and further behind. With many NIST facilities dating from the 1950s and 1960s, basic environmental controls and infrastructure such as steam pipes and HVAC systems are failing at an increasing rate, undermining NIST’s ability to deliver the precision measurement science necessary to drive U.S. innovation and industrial competitiveness. NIST requests a total of $40.5 million to support its construction and maintenance needs. The FY 2019 request is a net decrease of $67.8 million from currently funded levels, cutting funds for NIST’s major construction projects and for safety, capacity, maintenance and major repairs. The proposed reductions will impact NIST’s research mission. Elimination of funding in FY 2019 for Gaithersburg Building 245 renovations will result in a work stoppage in FY 2020. This essential facility houses research programs supporting explosive and radiological materials detection tools for homeland security and calibration of nuclear dosimeters that monitor radiation exposure for workers in the nuclear power industry, medical profession, and the U.S. military. Elimination of funding in FY 2019 for Boulder Building 1 renovations will result in a work stoppage in FY 2019. This building importantly houses significant portions of NIST researchers on the Boulder campus providing calibration and measurement services for customers, and conducting critical research toward national priorities, including work on noninvasive medical diagnostics, chemical detection technologies, and production of the world’s most sensitive quantum sensors. Reduces Safety, Capacity, Maintenance and Major Repair funds to the bare minimum for basic facility maintenance. Building 1 at NIST's Boulder, Colorado, facility. Emergency utility system repairs or replacement, including electrical switches, fire alarm systems, manhole repairs, partial HVAC replacements and replacement of piping for sanitary sewer and water applications. Building envelope repairs and replacement such as roof and window replacements. Installation of environmental controls in some laboratories on Boulder and Gaithersburg campuses.